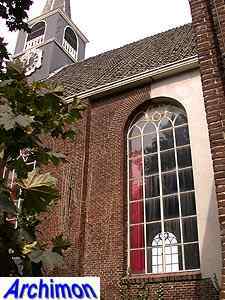 Although it is not obvious to see, this church has medieval origins and originally was named St. Catharina. 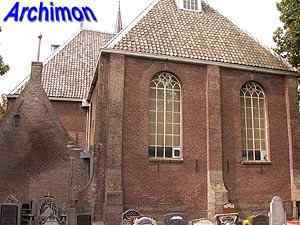 In 1573 it was destroyed and rebuilt in 1592. 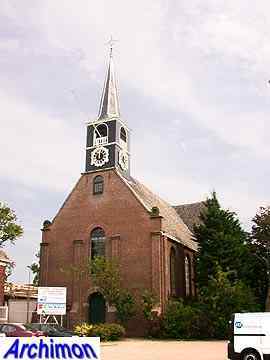 The name Grote Kerk dates from the protestant use that started in this time. 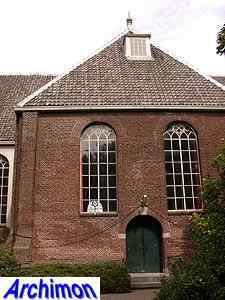 In 1630 the church was extended to the west. 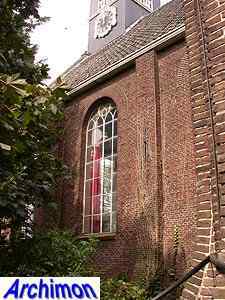 In 1760 the whole building was demolished and replaced by the current church. 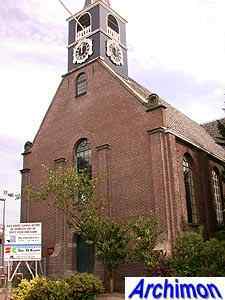 This church is smaller than the original one; because of the diversity of religion it didn't need to be big enough for the whole village. 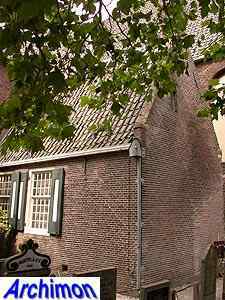 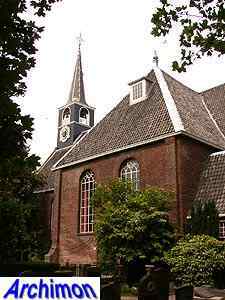 The name Grote Kerk, which means Great Church, seems strange for such a small building, but then that name didn't refer to the size of the church but to the importance of the calvinistic denomination that used it. 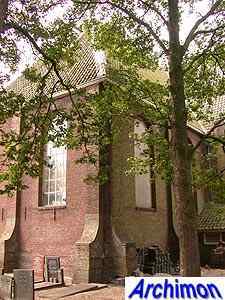 The church has a ground-plan based on the shape of a Greek cross, only with three arms of equal length and a longer nave. 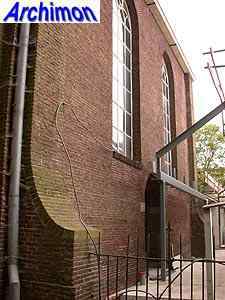 It has buttresses of a type that was often used for protestant churches in the 17th and 18th centuries, with a shape that was meant to refer to the temple of Jerusalem. 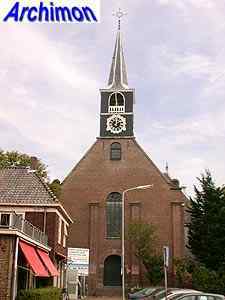 Instead of a true tower the church has a wooden bell-tower on top, similar to others in this region. 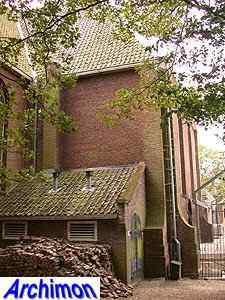 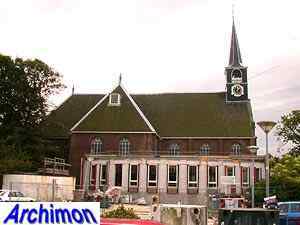 In 2004 a modern extension was added to the north-side of the church.